WASHINGTON — Torpedos are every surface sailor’s worst nightmare. The damage inflicted on a surface combatant by a modern torpedo on a hull is so severe that it presents an existential threat to even the U.S. Navy’s famously tough ships. That point was hammered home during last week’s sinking exercise (or SINKEX) inflicted on the former landing ship tank Racine, conducted as part of the biennial Rim of the Pacific exercise. In the video below, watch as the fast-attack submarine Olympia finishes Racine off with an MK-48 Advanced Capability torpedo. Rest in peace, USS Racine. The Office of Naval Research is working with Aerojet Rocketdyne to try and extend the range of the MK-48 by increasing the efficiency of the engine propelling the weapon. 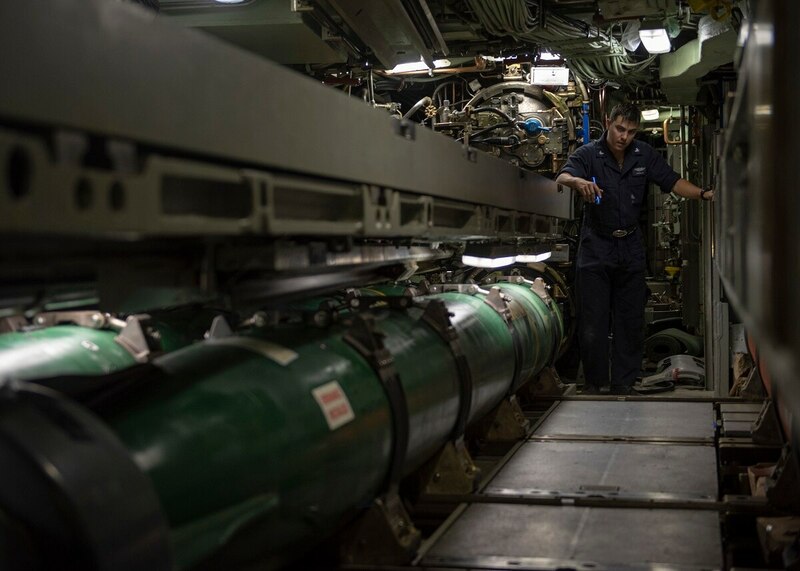 The idea behind extending the range of the torpedo is to keep valuable submarines away from potential targets and allow a third party (a P-8 Poseidon overhead, for example) to relay the targeting data.